For The Netherlands the safety and stability of the primary sea and driver dikes is essential since over half the population lives below sea level. In total, 3,500 kilometres of primary dikes and over 100,000 kilometres of other embankments protect the country from flooding. Over the past 75 years, the stability of the majority of the dikes and embankments has been checked using methods and tools developed by Deltares, the leading Dutch Institute in this field. Through Deltares systems these tools are available in English for the International GeoEngineering community. Deltares systems tools come with a comprehensive manual and extensive validation and verification reports. 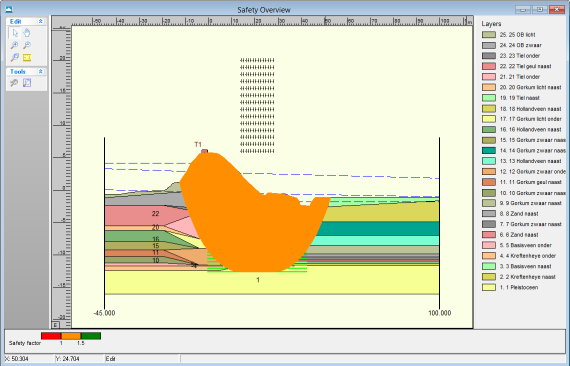 D-Geo Stability is a slope stability package for soft soils. 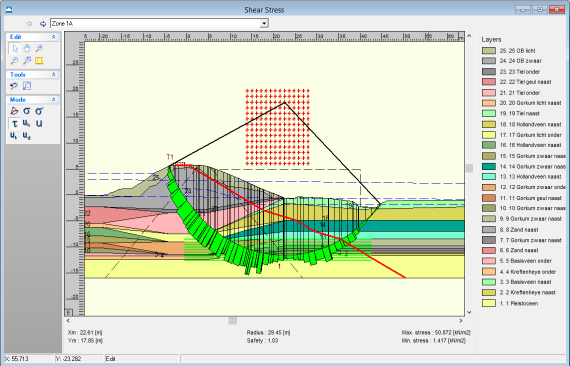 Previous releases of D-Geo Stability were named MStab. Deltares systems tools follow best practice, and are developed according to modern software standards; therefore they are user-friendly and easy to learn. Integration with the suite of other Deltares systems products. For example, settlements can be introduced using the D-Settlement program. In this way, safety analyses for various (settled) construction stages can be performed. The reliability module supports the Eurocode 7, allowing for the input of partial safety factors. A stochastic distribution of parameters allows for semi-probabilistic analysis as well as probabilistic analyses. 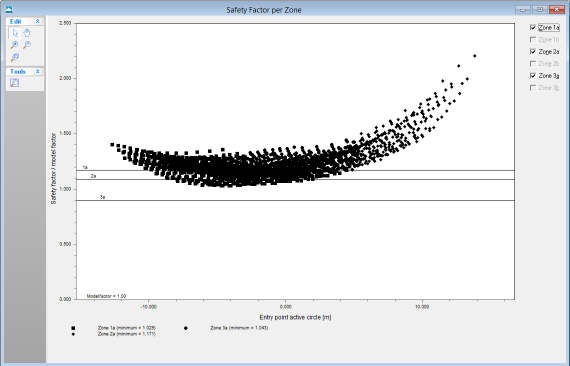 Using the model default parameters for stochastic properties, the user can easily switch from a standard safety analysis to a reliability analysis without additional input data. Experts in probabilistic analysis can use the Bishop Probabilistic Random Field module, allowing users to take into account spatial variation of parameters. The Uplift module allows for the safety analysis of river embankments under the influence of changing water levels in aquifers. This may result in the uplift of the hinterland, a mechanism causing numerical difficulties in most FEM approaches. The movement of rising water levels as a result of extensive rainfall events is an important issue for river embankments. The Deltares Watex program allows for fast analysis, resulting in time dependant water pressure distributions that can be imported into D-Geo Stability . How to get D-Geo Stability? 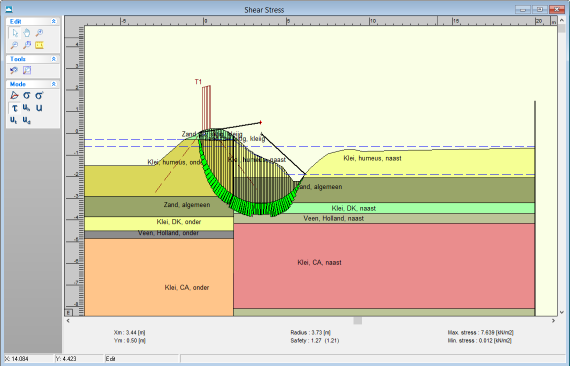 The latest fully validated release is D-Geo Stability 18.1. This version is available if you have purchased a Service package. You can order a Service packages via our Software sales Service team (software@deltares.nl) The software can be downloaded via our Download portal. You don’t need a license file to do this. You can use the software in Demo mode without a license file. By purchasing a Service package you will receive a license file to unlock full functionality (according to purchased package). Our Software sales Service team will provide you with instructions on how to get the software working with a license file. 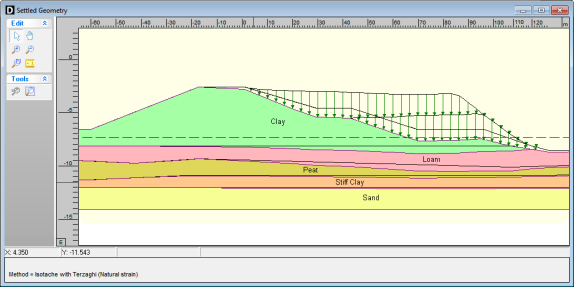 You can also use our Geotechnical software products via the internet (Software as a Service – SaaS), on subscription basis. 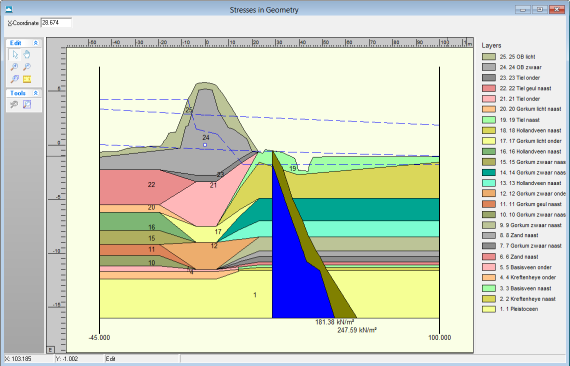 For more information, please see Online Geotechnical Software. The Educational package is the same as the Full package, but available at a reduced price. How to order a Service package? To order one of our Service packages, please fill in this Deltares Software Application Form and send the information to software@deltares.nl. For more information, please click here. We are here to help you with all your Deltares software products and solutions. 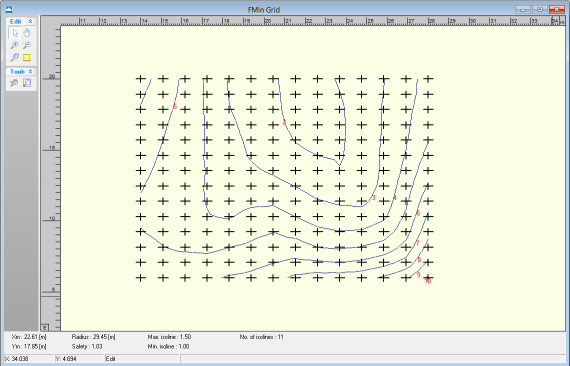 Over the last decades, Deltares has been developing and improving D-Geo Stability, which comes with everything a modelling professional needs in a flexible, stable, robust, easy-to-use modelling suite. Deltares offers high quality software services to consultancy firms, governmental organizations, universities and research institutes worldwide, using these software products. If you have a Service package and have a technical question, please contact our Support team via software.support@deltares.nl (+ 31 (0)88 335 8100). To obtain a Service package (license, Maintance & Support contract) for D-Geo Stability, please contact our Sales team via: software@deltares.nl (+ 31 (0)88 335 8188). If a vertical layer boundary coincides with one of the vertical boundaries of the horizontally compressed part of Uplift-Van model, the calculated pore pressures acting on the compressed area can be incorrect (equal to 0) because D-Geo Stability is not able to find the top and the bottom of the layer. When the “Su-calculated with Yield stress” model is used, the program calculates a POP value for each yield measurement and then interpolates them to get a POP value for all the materials. In case a layer does not contain a yield measurement and the layers above and below this layer also don’t have a POP value, the POP value of the (horizontally) closest yield stress measurement should be used. However, this does not occur and the POP value of the considered layer stays at its default value (-1), which means an OCR of 1 and a yield stress equals to the effective stress. Workaround: when using the “Su-calculated with Yield stress” model, make sure that all materials have at least one yield measurement. Solved in 18.1For Uplift-Van method, if the horizontal part of the slip plane coincides with a layer boundary, the control of the weakest link (2cm above and below the sliding surface) does not always take place correctly because the dilatancy angle is not included correctly. In this control, the calculation is always associative (psi = phi). Is it possible to open the input files of D-Geo Stability in the program MStab? It is possible to open the input file of the program D-Geo Stability in the program MStab. However, the warning message ‘Input file was made with a more recent version of this program. Do you want to open it anyway?’ appears. Click on OK. Note: the data of the new option (nails) will be lost. What is the meaning of the error message: "Entry point of method islocked not found" when starting the program? Probably you are using an older version of the gef dll, for an update re-install the common files. Uplift Van: What is the meaning of the figure displayed in parentheses after the safety factor in the "Stresses" result plot? The figure in parentheses is the safety factor divided by the model factor. 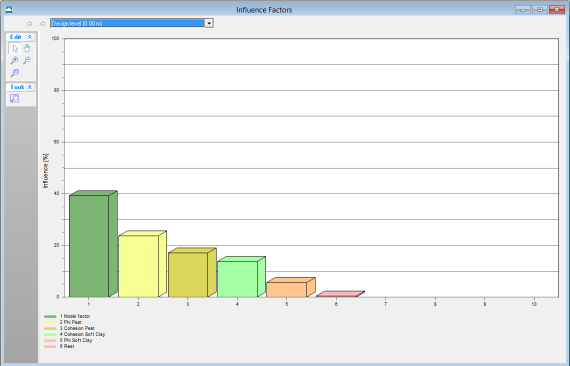 With the Uplift Van method, the model factor is 1.05. 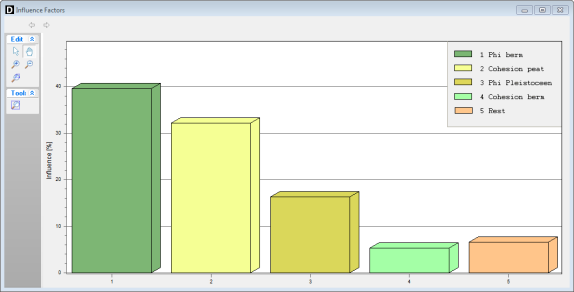 When I import an old file what is the meaning of the grid beside my usual calculation grid in the Input View ? The ‘Use MSeep Net’ option is probably switched on. You can switch it off in the ‘Water’ menu. N.B. When ‘Use MSeep Net’ is switched on, the pn-lines will not be included in the calculation. Why do I have problems reading DXF exported files in Autocad? The option to export pictures in DXF format was developed for, and tested with, AutoCad 14. 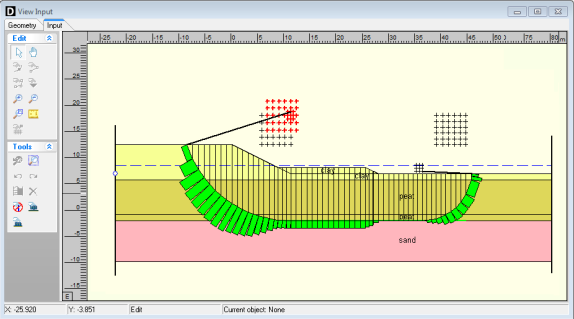 In more recent releases of AutoCad something has changed in relation to the import of DXF files. 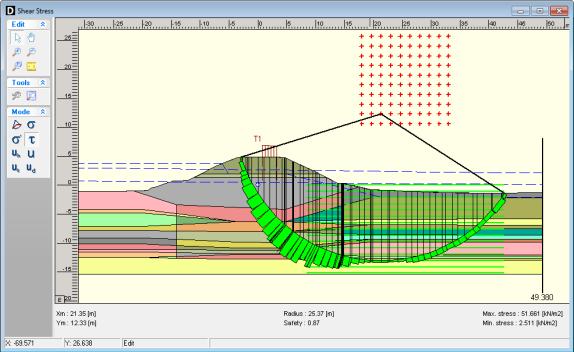 This means that these versions do not read our DXF files properly (detected by us in versions 2005 and 2006). The majority of viewers, for instance “Bentley view”, do not experience problems with our exported DXF files. Where can I find the Release Notes? The Release Notes are part of the zip-file that contains the software and manual. This file can be downloaded at the Download portal.